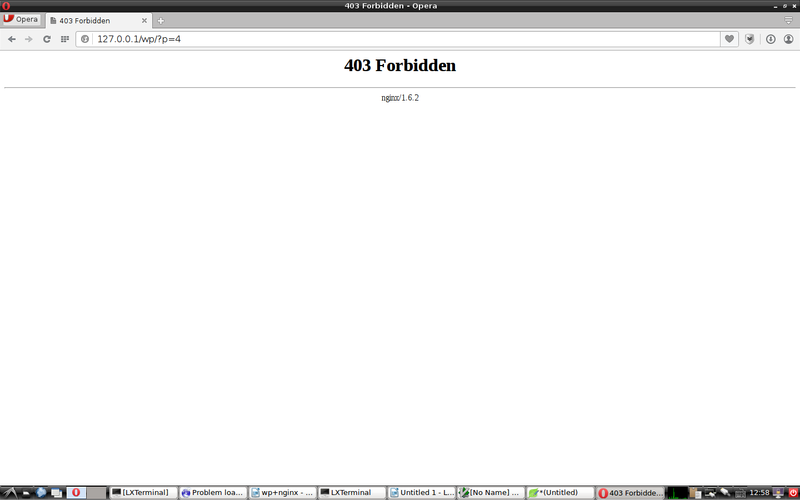 Now i want to change the port of nginx from 8080 into 80. 3.login into my wordpress database to execute the sql commands. when i input http://127.0.0.1:80/wp/?p=4 in the browser. I would suggest looking your error logs to see the problem, also if your site is running on port 80 you do not need to put :80 to access your site, it will default to 80.